Meditation has become more popular in recent times. It has become a part of our lives in a natural way and for different purposes. However, many people reject meditation because they do not believe in it. But meditation is not a religion: it is not necessary to have faith in how meditation works. Meditation is also not magic, nor is it a question of luck. So, then, what is meditation? Meditation is a means of transforming the mind. 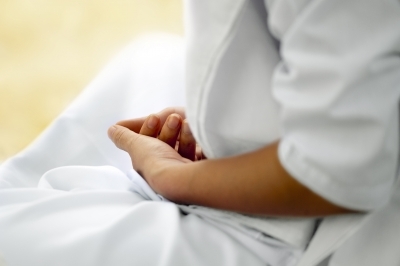 Furthermore, meditation practices are techniques that encourage and develop concentration, clarity, emotional positivity, and an understanding of the true nature of things. Maybe because of all these virtues it develops, the practice of meditation is becoming fashionable. But what does science say about meditation? There are hundreds of studies of the benefits of meditation that show how constant stress and worry take a toll on our cells, aging them. So do continual distractions and a wandering mind, due to the toxic effects of rumination, where our mind gravitates to troubles in our relationships but never resolves them. Among other findings, meditation reduces the inflammation that leads to cells aging and reduces levels of the stress hormone, cortisol. Another example is mindfulness meditation that trains our brain to focus on something, notice distractions without being pulled away by them, and then refocus. Repeating those basic steps strengthens our capacity to focus, just as lifting weights builds our muscles. Studies worldwide have found that meditation and mindfulness reduce the key indicators of chronic stress including high blood pressure. Meditation has also been found effective in reducing the impact of serious conditions such as chronic pain, and can help relieve some dependence to toxic substances. Last but not least, and one of the most interesting benefits of meditation, is that it is stimulating, and therefore increases creativity. Studies have found that meditation can have a lasting influence on the human cognition, including how we conceive new ideas and how we experience events, not only for experienced practitioners, but also for beginners! Here we have mentioned only some research that has studied the effects of meditation. Undoubtedly, science has quite a lot to say about meditation, giving us answers that go beyond myths, beliefs and the placebo effect. But the only way for us to verify if meditation really does it for use is to try it! Only by finding that quiet spot and peaceful moment will we be able to evaluate the effects that meditation has on us on a personal level. So what are you waiting for?? Great post! Very informative and helpful. Thanks for sharing this and keep up the good work. Very much appreciated.